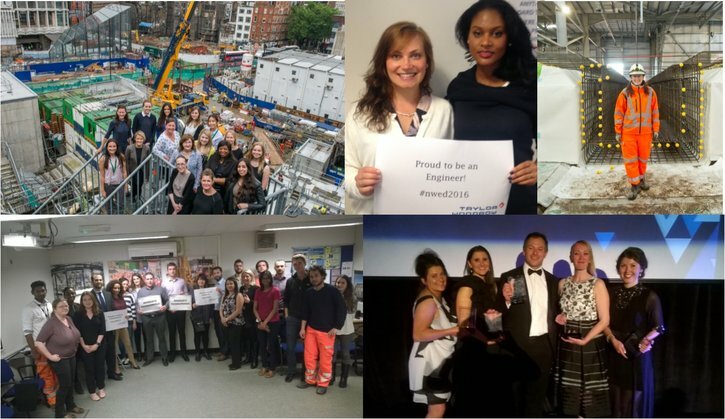 National Women in Engineering Day is held as part of the effort to address the gender imbalance in our industry and gave us the opportunity to expand the discussion and support our teams to talk about Fairness, Inclusion and Respect for everyone. Each site held a stand down to learn more about Fairness, Inclusion and Respect; hear about where we currently are as a business; and talk about what it means for their site. We promoted the discussion on our @TaylorWoodrow1 Twitter account, and at the same time publicised case studies on some of the women in our business to help in the effort to inspire the next generation. In addition, we ran a “Proud to be…..” photo campaign to celebrate our team and each of the different roles they play to make a successful project. Inclusive leadership is when the views of people from different backgrounds and experiences are listened to and learnt from. The day generated some great conversations on what we do well, and areas to focus on to make Taylor Woodrow a truly inclusive place to work.